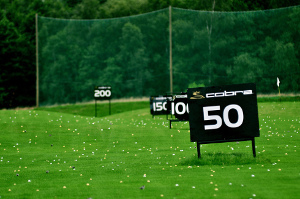 If you are like most golfers, you want to shoot lower scores and have more fun. 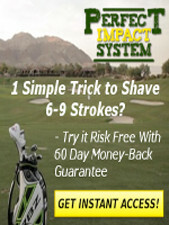 nothing seems to work and you are still are not playing better golf. is because we have been focusing on the wrong thing. There are two things you need to focus on to play better golf and it’s not what you think. First, go ahead and claim your copy of the Free E-book and get started! HINT: You will not get this information at your hourly lesson!!! There are a lot of good instruction out there, but it never get to the core of “WHY”. During a one hour lesson, the instruction will fix a flaws and send you on your way. Within a week you have forgotten those fixes and reverted back to your old ways. Why? Because there is no “WHY” behind what is being taught, just band-aid fixes. 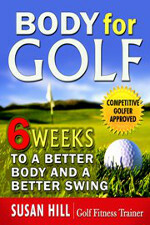 the golf swing and you are on your way to becoming a better golfer. that starts left of the target and moves a little right. relative to the swing path. bad position by aiming so far right. flight laws and have developed the skill. Correct alignment is the key to hitting good shots. The turn back and turn through is crucial in getting your impact correct. 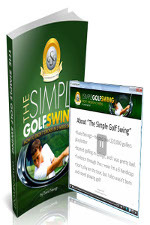 Learn more about how to develop a simple swing. The path that you swing the golf club on is only responsible for a small percentage of the golf balls direction. starting point to playing better golf. What is causing my golf ball to slice, fade, or go straight and how can I control this ball flight? How understanding your swing path can help you play better golf. and the other 15%-20% is influenced by the relationship between the clubface direction and swing path. the larger the amount of curve is imparted on the ball. For more information on how understanding the ball flight laws can help you control your golf ball, click here. 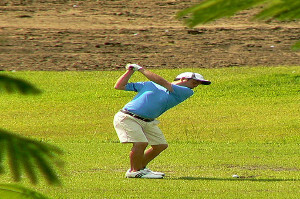 Practice is the key to playing better golf and having more fun. 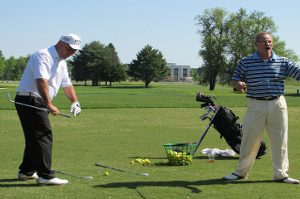 Practice allows you to play better golf without thinking about your swing while playing. Practice gives you the confidence to hit good shots. it comes to what to or how to practice. game well enough to identifyyour strengths and weaknesses. Let your goals and your desires dictate what and how you should practice. is what you should focus on when you practice. With the proper equipment you can also develop a consistent swing anywhere and at any time.